to manage your entire online business? and purchasing is a part of the experience. OFFER YOUR BUYERS MORE THAN A CHECKOUT EXPERIENCE, DELIVER THEM GREAT PURCHASE EXPERIENCES! Go live instantly and expand to new international markets, leveraging Nexway expertise and merchant services! Get closer to your clients and increase significantly conversion rate & customer value! Focus on your core business, let us worry about monetization and your customers’ purchase experience! 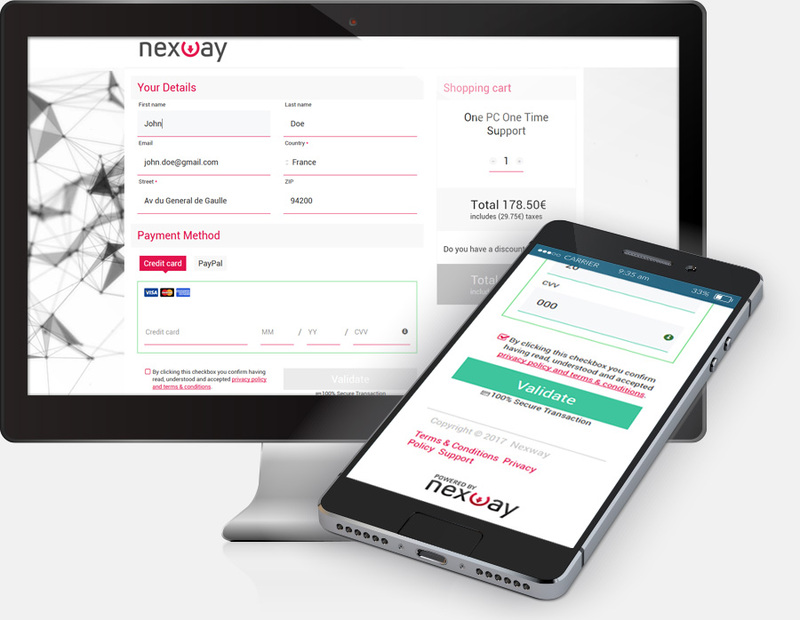 Fill in the form to see how Nexway can help to optimize your checkout experience & maximize your sales!